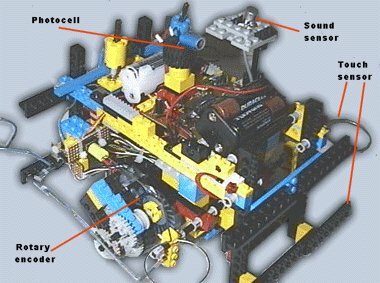 DESCRIPTION: A minimouse robot system link to PC via Parallel cable. "TOURING-I" was maked to experiment in navegation and solution of basic problems. CONTROL: I have programmed behavior routines in Visual Basic. MOVE: It uses 2 servos. FUTURE UPGRADE: IR detector, analog sensor, stepper motors.